The University of Florida announced the firing of women’s basketball head coach Amanda Butler on Monday. Butler spent the last ten seasons as the head coach of Florida, but was terminated on her 45th birthday. There will no doubt be a large pool of candidates to choose from. Current assitants on Florida’s coaching staff deserve a look including Shimmy Gray-Miller, and Murriel Page. Both are more than deserving of an opportunity. Stricklin isnt just firing a coach that had a bad season. He’s looking to hire a coach that can bring Florida’s women’s basketball team to the level of every other athletic program at the school. Stricklin has been down this road before. When longtime Mississippi State head coach Sharon Fanning-Otis retired in 2011 Stricklin tapped Vic Schaefer to be the Bulldogs head coach. Schaefer hadn’t been a head coach in 15 years, and that experience wasn’t exactly successful. In the 1990’s Shaefer was the head coach at Sam Houston State. He finished his tenure at SHSU with a .421 winning percentage. 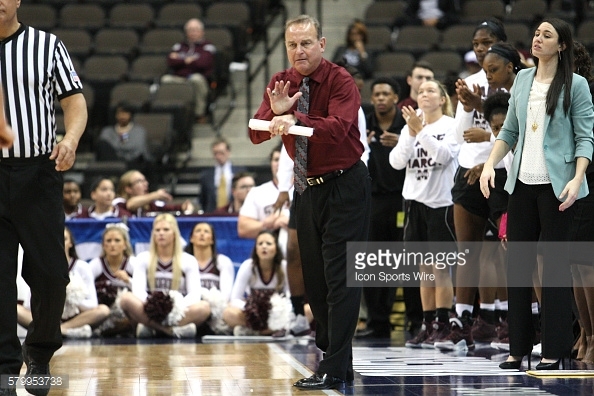 Schaefer then spent fifteen years as an assistant coach and earned the title of “defensive specialist.” He won a national championship with Texas A&M in 2011 as an assistant. More impressive is what Schaefer has done at Mississippi State. Schaefer has guided the Bulldogs to a 29-4 and a #6 national ranking. But this isn’t a fluke. Schaefer has a team that has sustained success over the last four years. Mississippi State won 22, 27, and 28 games in the three previous years. If you discount Schaefer’s first season (13-17 overall, 5-11 SEC) at MSU, he has a .768 winning percentage at the school. Vic Schaefer should be the next women’s basketball coach at The University of Florida. Why would he want to come here though? Well, it’s Florida. And like Stricklin said, all the resources are in place to make this a sustained success story. Florida managed to talk Stricklin into leaving his alma mater to come to Gainesville, surely he can convince someone he hired to follow suit.